A man for all seasons. 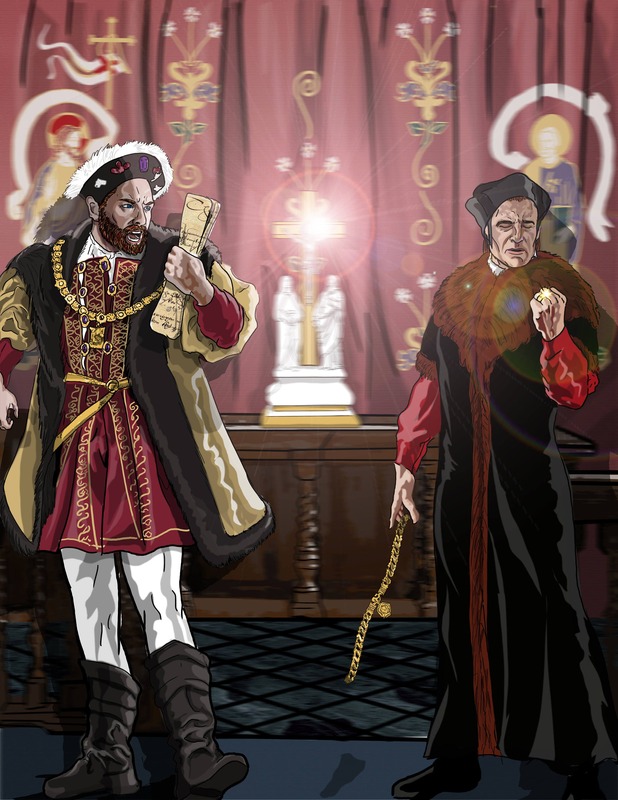 St. Thomas More was a lawyer, a statesman, an author, politician, humanist, and most importantly friend to the king. Thomas would frequently advise King Henry VIII who valued his friends council so much, he appointed him to the position of chancellor, a high rank within the court. Together the two railed against the Protestant Reformation until it became increasingly obvious that King Henry would receive no male heirs from his wife Catherine of Aragorn. The King wanted to divorce his wife and marry Anne Boleyne. The Pope denied the Kings request for an annulment and a divorce and so under the counsel of anti-catholic advisers King Henry VIII declared himself the head of the Church in England. St. Thomas could neither recognize the King's illicit marriage, nor could he recognize any head of the Church other than the Pope. The King's split with the church included a split with his friend. St. Thomas' stand for marriage and the papacy caused the king to strip him of his title and sentenced him to death for treason. St. Thomas met his death with courage and grace saying "I die the kings good servant, but God's first." St. Thomas More was executed by beheading and was declared a martyr for the faith. He is the patron saint of statesman and politicians. Let this poster print inspire you and your family to stand strong in the ways of the Lord and defend the faith, marriage, and the papacy with the same fortitude that St. Thomas did.